Contenders can check the Pali District Court Recruitment 2018 on this page. The higher authorities of District Court Pali had released the notification for Junior Assistant & Class IV Staff vacancies. Aspirants who are having the correct eligibility criteria which were given by the officials of District Court Pali they can apply for districts.ecourts.gov.in Jobs 2018. Moreover, the job seekers who are willing to use this opportunity they can apply form 09th August 2018 to 24th August 2018. For the sake of candidates, we had provided the complete details about the जिला न्यायालय पाली Advertisement 2018 like educational qualification, age limit, selection process, application fee, compensation, the process to apply and important dates. For more information about the Pali District Court Recruitment 2018, applicants can go through this entire article. The District Court Of pali will accept all the application forms of candidates who are having eligibility criteria which were provided by the officials. We had submitted the genuine and exact information about the Pali District Court Recruitment 2018 which was taken from the official website. Applicants who are interested in working with the Rajasthan Government, they can get complete data from this page about the Pali District Court Recruitment 2018. After checking all the details of candidates, they can start their application process. The higher authorities are conducting this Pali District Court Recruitment 2018 process to fill the 18 Vacancies of Junior Assistant & Class IV Staff Posts. Every year the charter members are conducting this Pali District Court Recruitment 2018. Candidates who are having the correct eligibility criteria which were given by the officials, then they can apply for this Pali District Court Recruitment 2018. If any of the applicants had applied without having the eligibility criteria, the higher authorities would reject their application forms, and it may come under the illegal activity. So, we suggest candidates get the more stuff about the eligibility criteria such as Age Limit, Educational Qualification. From here job hunters can get the data about the Pali District Court Recruitment 2018. In the below, we had provided all the posts names along with their count. Check the official notification to view Pali District Court Recruitment 2018. Check the educational qualification for जिला न्यायालय पाली notification 2018 in the below section. For details about the Pali District Court Recruitment 2018 go through the notification. The age limit is mandatory for this Pali District Court Recruitment 2018. Check the official notification for more updates. The higher authorities of District Court Pali are selecting the candidates forJunior Assistant, Class IV Staff Posts. The Officials had mentioned that they are recruiting candidates for the provided selection process in the Notification. There are no further rounds for the Pali District Court Recruitment 2018. Based on these round only, the officials of जिला न्यायालय पाली are hiring the suitable and capable candidates. To know salary details candidates can refer official notification which is attached at the end of this page. Initially visit the official website of the District Court Of Pali that is districts.ecourts.gov.in. In that click on a required state. 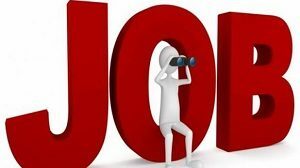 Search for the Pali District Court Recruitment 2018 link. Then take a copy of the application form in the provided format. Collect your documents like certificates etc. After taking all the collected documents while entering for the Interview. Office of The District Legal Services Authority, Pali District Court, Rajasthan. Our team Sarkarirecruitment.com had satisfied the candidates by providing the complete details of Pali District Court Recruitment 2018. For more updates such as Results, Syllabus, Admit Card, and Others, aspirants can visit our site. For any queries, job hunters can leave us a comment in the comment box. Thank You.